Acceleration programme for HealthTech, Prevention & Wellness start-ups! Apply now. Participation is free. NN Hellas and Orange Grove are joining forces to support entrepreneurship in Greece in a programme taking place in Greece for the first time. Are you a fully committed, early stage HealthTech, Prevention or Wellness team or start-up ready to lift off and grow in an international market? Then apply today for a chance to get the best national and international business & technical support your start-up needs, with top experts in the field, through a free 3-month acceleration programme! Receive intensive training and support from some of the best validation and start-up growth experts in the Netherlands, provided by IdeaHackers, Orange Grove, NN Hellas & NN Group. Work on the validation of their idea. 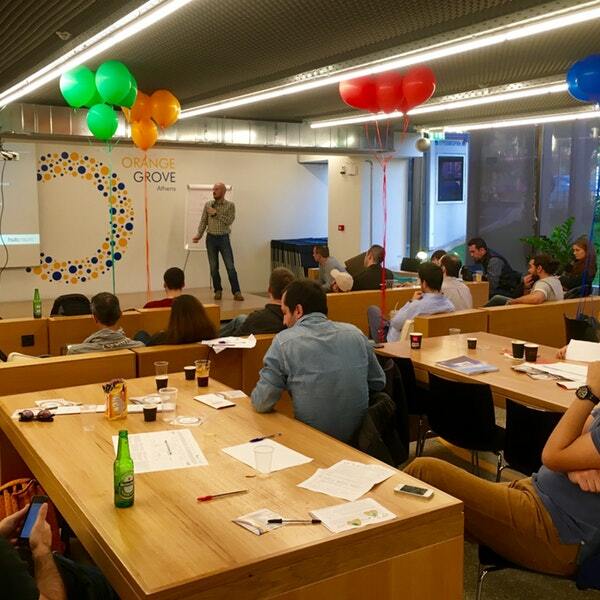 Enter multiple new networks in the programme, through the Embassy of the Netherlands, NN Hellas & NN Group, IdeaHackers and the established start-up ecosystem of Orange Grove. Work closely with NN Hellas during the programme. NN Hellas is looking to support innovation and new technologies. The programme is offered for free to the teams or start-ups that will be selected. If you are a team or start-up in the above sectors the world should know about, complete the application form. The programme will support teams or start-ups that provide solutions, which aim at better health, prevention and general wellbeing for all. NN Hellas & Orange Grove will select the best and most positive innovations out there. Teams or start-ups will be selected based on the composition of the team, the viability of the idea and the level of innovation. A complete coaching programme will be offered to the selected teams, powered by Idea Hackers. Why should I participate at the HealthTech, Prevention & Wellness Programme? NN Hellas and Orange Grove have had the inspiration for the creation of a new programme together, powered by IdeaHackers. You’ll meet high-level local and international coaches & mentors, new partners, exposure to media and access to an extensive network. You will also meet other start-ups, working in the same field, experiencing the same challenges and helping each other with solutions. All this will take place in your first open-plan workspace at the Orange Grove premises. After the programme, you will have received solid support through our expertise and technical know-how. We will have exposed your ideas to potentially interested stakeholders. And, you will meet your first potential investors, who might be interested in investing in your start-up. The programme is equity free. The programme will take place at Orange Grove in Athens. If you are ready to move forward your idea or start-up then submit your application here. Fill in your application carefully. Only complete applications, in English, will be taken into consideration. The more precise information you give, the better your chances. And the earlier you apply, the better! The selection will take place through a selection form in the first round and an interview (in English!) in the second round. The deadline for applications is June 29, 2018. This is based on pre-defined criteria including the product, traction, market potential and team evaluation, as well as the fit for the programme. We’re continuously screening applications and evaluate them in collaboration with our key partners. The programme is entirely in English – the pitches during the demo day will also be in English, so a good knowledge of the language is a prerequisite. For more information, visit our website: www.orangegrove.eu/callforapplications/, while you can check out our latest updates on our Facebook, Twitter and Instagram. For additional assistance, you can contact Ms Sibel Kurt at Orange Grove (startups@orangegrove.eu, +30 211 4082552/8). Date : 6/26/2018 03:04:00 μ.μ.